Hideo Kojima wants to make a sequel to Snatcher, but he doesn't have time. 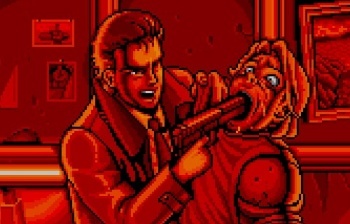 Fans of Hideo Kojima's Snatcher have been clamoring for years, hoping that their cries will convince the man to make a sequel to the game. Unfortunately, Kojima has said that it's not gonna happen any time in the foreseeable future because he's just too dang busy. This idea of ​​an open world in 3D is very good, and I would love to do something like Snatcher, but I do not have the time or the means to do so. But if anyone else would like to develop it, I would love it. Are you confused? Don't be. It turns out this interview was given shortly before he announced the game's radio-drama sequel. At present, it sounds like this audio program is the closest thing fans are going to get to an actual continuation of the series.